Generally the visa process for canada is a Dropbox system.Processing time for visa is about 5-6 weeks . To get a student visa, you will have to prove that you have enough finances to pay for living expenses, education costs and travel for your course. Under the new SPP visa rules students have to pay 1st Semester fee in advance to the Canadian college. For living expenses the candidate has to show living expenses through GIC (Guaranteed Investment Certificate) from Nova Scotia Bank or ICICI in advance into a specially designated bank account in your name which will periodically release funds for you when you are in Canada. Under the SPP route visa success rate is very high with little documentation. For a detailed list of documents contact any of our offices. In case a student does not opt for SPP program then the usual visa process will apply. In this complete documentation and financial proof for remaining fee and one year living expenses is required. 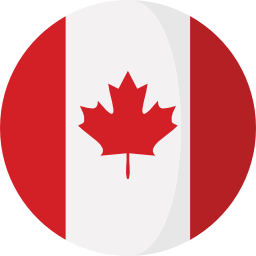 After completing 1 year of open work permit, candidates are eligible to apply for permanent residency for Canada under various immigration programs.